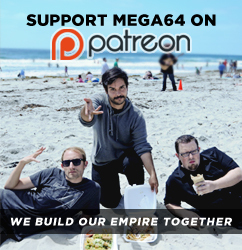 The Mega64 Podcast Episode 299 is a bold moment for our company. In this keynote, Mega64 CEO Rocco Botte gives us important information on the comedic fiscal quarter. Imperative to this financial statement are is announcements for PAX, and the group discussions on Final Fantasy X HD Remaster, the Kutaragi documentary, and poop/vomit. Watch the podcast below or listen to the audio version. In addition to the podcast, we wanted to give you one last nugget of news for PAX East. We just discovered that, in addition to all the insane merch announcements we made this week, there's ONE MORE THING. The COMPANY HOODIE, an item we originally printed 7 years ago, will be sold once again at PAX East 2014. We haven't had this pullover hoodie in so long. Hope you can come to PAX this weekend and pick one up! 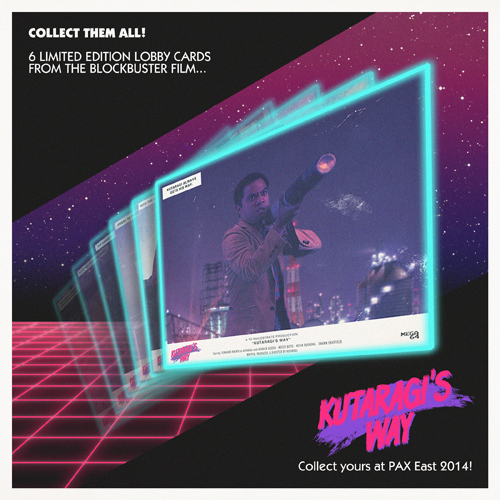 Don't forget- Free Kutaragi's Way print with every purchase over $20! We'll see you at PAX this weekend at booth 340, and at our panel THIS SATURDAY at 7PM in the Dragonfly Theater!